Loyal Rue, Michael Dowd, and Connie Barlow gather outdoors at Loyal's cabin in Iowa to share what too few are willing to discuss: a worldview shift that precludes the possibility of a bright future for our civilization. A recurrent theme is the tension between, what Rue calls, "truth and comfort" when discussing with others the ecological crisis and its implications for humanity. Watch this conversation in VIDEO format on youtube. Loyal Rue, professor emeritus of Luther College in Decorah Iowa, published his fourth book in 2006 titled, Religion Is Not About God. In August 2014, Michael Dowd conversed with Loyal about this book. Loyal's biographical reflections on what in his youth eventually led him to write this book are noteworthy. View the interview in VIDEO format on youtube. Loyal Rue, professor emeritus of Luther College in Decorah Iowa, wrote his first book, Amythia, in 1989. In August 2014, Connie Barlow and Michael Dowd conversed with Loyal about his book and the malady of modernism, amythia. View the interview in VIDEO format on youtube: Loyal Rue pt 1: "Amythia" (interviewed by Barlow and Dowd). Tom Clark, philosophical naturalist and consultant, is creator of naturalism.org, founder and director of the Center for Naturalism, author of Encountering Naturalism: A Worldview and Its Uses, and former host of the Philosophy Café at Harvard Book Store in Cambridge, MA. 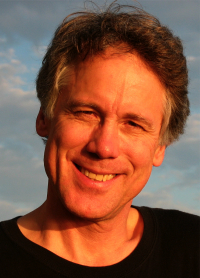 In this conversation, host Michael Dowd invites his guest to compare and constrast their understandings of worldview naturalism, how it applies to the subjective experience of freewill, meaningful interpretations of life, and why it is very helpful for those yearning to overcome addictions. Alison Gopnik speaks about her research toward understanding how young children acquire their picture of the world -- especially the ways in which they seem to develop, test, and amend hypotheses not unlike the methods of scientists. What sparked the interviewers' interest, however, was a widely read essay she published in a January 2012 edition of the Wall Street Journal, titled "What's Wrong with the Teenage Mind". There she offers both an evolutionary understanding of why making the transition from childhood to adulthood is so prolonged and problematic today -- and what can be done to improve the situation. Gopnik is a professor of developmental psychology at the University of California, Berkeley, and the author of The Scientist in the Crib and The Philosophical Baby: What Children's Minds Tell Us About Truth, Love and the Meaning of Life. 12. Terrence Deacon: "How Mind Emerged from Matter"
Terrence (Terry) Deacon highlights the core ideas in his 2011 book, Incomplete Nature: How Mind Emerged from Matter. A professor of biological anthropology and neurosciences at the University of California (Berkeley), Deacon is the author of the acclaimed 1997 book, The Symbolic Species: The Coevolution of Language and the Brain. 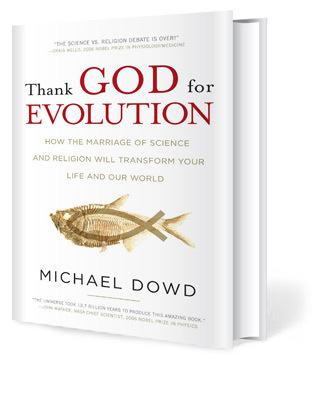 As interviewers, Connie Barlow and Michael Dowd ensure that Deacon also talks about his motivation for writing this book, the paradigm shift he is aiming for, and the practical fruits that he hopes this emergent worldview (which transcends the discord between the nihilism of mechanism and the supernaturalism of traditional religions) will offer individuals and societies. Note: We also highly recommend the audio interview of Deacon by Dr. Ginger Campbell and the online book review (in Skeptic Magazine) by Sam MacIntosh, titled "Mind Matters". Barlow and Dowd engage with astrophysicist Joel R. Primack and cultural historian Nancy Ellen Abrams about their unique partnership in translating a fully scientific understanding of the universe (and our place in it) into memorable and inspiring words and images. 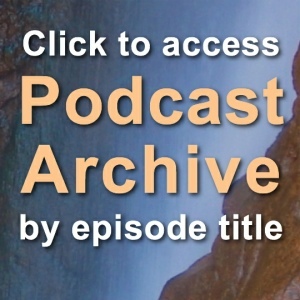 Because this dialogue was recorded in July 2010, it focuses on their coauthored 2006 book, The View from the Center of the Universe, and their autumn 2009 Terry Lectures at Yale University ("Cosmic Society"). At the time, they had just finished a manuscript version of the Terry Lectures, which Yale University Press would publish in Spring 2011, titled The New Universe and the Human Future. Reversing the widespread assumptions that science is just too difficult to understand in deeply personal ways, Nancy recounts her difficulties in Hebrew school as a second grader trying to square God's goodness with the frightening story of Abraham and Isaac, and declares, "The Bibles stories are much harder to understand than the Universe." Joel recounts an episode of awe (indeed, mysticism) he felt when, in 1992, data confirmed the theory of dark matter's role in the universe that he had co-developed in 1984. 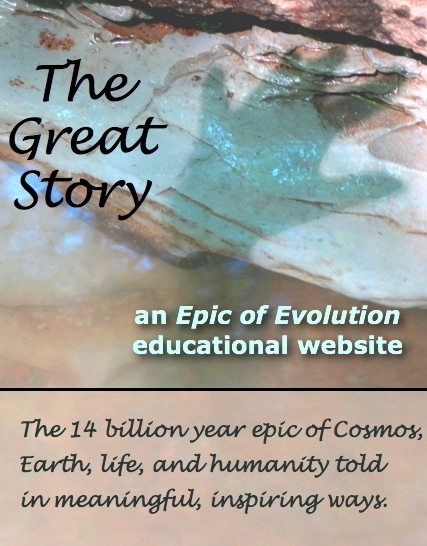 Ancillary resources mentioned in the interview include: 46 quotations from View from the Center of the Universe; Alien Wisdom (CD of Abrams songs); Bible Stories Your Parents Never Taught You (by Michael Scott Earl); and Connie Barlow's children's curricula for teaching the Epic of Evolution. See also a video profile of Joel and a video profile of Nancy. Jennifer Morgan is the author of the most popular (and scientifically accurate) children's book series on the Epic of Evolution. Titled Born with a Bang, Jennifer's trilogy was illustrated by Dana Lynne Andersen. 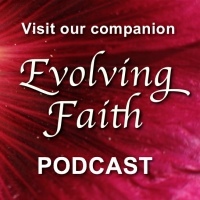 In this conversation with hosts Connie Barlow and Michael Dowd, Jennifer reflects on how creativity emerges from chaos, time and again, in the 13.7 billion year history of the universe — and how this theme provisions individuals and cultures with gratitude for the past and hope for the future. The importance of offering children the Story of the Universe, and Maria Montessori's advocacy of universe-based education are also explored. She says, "There is so much happening in the world today that we need to know we have the eyes of the Universe within us." 5. PZ Myers: "Changing the World One Blogpost at a Time"
PZ Myers is a biologist who teaches at the Morris campus of the University of Minnesota. He is the most widely read science blogger in the world. His blog, Pharyngula, is read by more than 50,000 people a day. PZ's role as a blogger is not only to keep the rest of us informed of new developments in biology, and science in general, but also as a way to keep abreast of the latest skirmishes on the science and religion front. He is one of the New Atheists and is thus an outspoken critic of supernaturalism in any form. In 2009 PZ received the Humanist of the Year award. 4a. Jon Cleland-Host: "Inspiring Naturalism for Families"
Jon Cleland-Host, chemical scientist, is a leader in bringing to Earth-centered traditions (notably, neo-paganism) modes of inner reflection and community and family celebrations that are fully grounded in mainstream science. He and his physicist wife, Heather Cleland-Host, have been raising their 3 sons in a milieu that nurtures relational bonds with the grand sweep of time and ancestry: the Epic of Evolution. Past-president of his Unitarian Universalist fellowship in Midland MI, Jon now chairs the religious education committee. Jon (center) is pictured here with his three sons, with Michael Dowd, and with his "Cosmala" beads that narrate a scientifically accurate story of the Universe. His intergenerational curriculum contributions to TheGreatStory.org website include: Timeline for Cosmala; Worship Resources for Evolution Sunday; and Meditation on Ancestors. 3. Michael Shermer: "The Role of the Skeptic"
Michael Shermer, is the public face of the venerable tradition of "skepticism" in America. 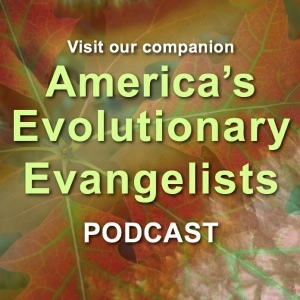 As he explains in this podcast, Shermer is by no means a cynic. Rather, it is his calling to seriously investigate truth claims that clash with well-substantiated principles of mainstream science. He is the founder of the Skeptic Society and the force behind its periodical, Skeptic Magazine. He is also the author of a number of books, including The Science of Good and Evil and also Why We Believe: Science, Skepticism, and the Search for God. In this conversation with Connie Barlow and Michael Dowd, he reflects on his worldview trajectory and the importance of diverse voices in the broad community espousing naturalistic perspectives. Visit his personal website, MichaelShermer.com, where you can read his monthly column in Scientific American, and watch an array of video newsclips of his national news and debate appearances. 2. David Christian: "Big History"
David Christian is a historian and acclaimed teacher who initiated the teaching of (and coined the term for) the widest interdisciplinary field of all: Big History. Big History is the deep-time history of everyone and everything. 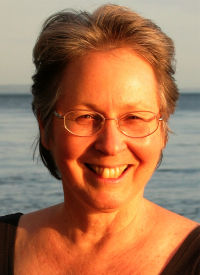 Michael Dowd and Connie Barlow interviewed David in May 2010, exploring both what Big History offers the world and how it invites individuals to experience their own lives as expressions of an immense, venerable, and deeply meaningful process. David's books are Maps of Time: An Introduction to Big History, which won the World History Association Book Prize in 2005, and his 2007 This Fleeting World: A Short History of Humanity. His 48-lecture course on DVD is one of the all-time most popular courses offered through The Teaching Company. Its title: "Big History: The Big Bang, Life on Earth and the Rise of Humanity." 1. David Sloan Wilson: "Evolving Beliefs and Other Motivational Systems"
David Sloan Wilson, Distinguished Professor in the Department of Biological Sciences at Binghamton University, is a leading evolutionary theorist, both in the life and (more recently) the social sciences. David's academic writings, which he now extends into actual cultural interventions and policy recommendations, are crucial for advancing the utility and allure of the naturalistic paradigm. David's books include Evolution for Everyone and Darwin's Cathedral, and he coauthored The Literary Animal and Unto Others — the latter is subtitled "The Evolution and Psychology of Unselfish Behavior." 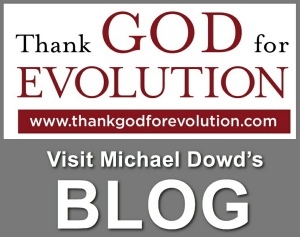 Important links include: David's blog, the Evolutionary Studies Program (EVOS), the Evolution Institute, Evolutionary Religious Studies, and the Nature of Regulation. You can access online his published philosophical papers. Among the most important cross-disciplinary papers are "Rethinking the Theoretical Foundation of Sociobiology" (coauthored with Edward O. Wilson) and "A Beginner's Guide to Evolutionary Religious Studies" (lead author).